The Winter's End Festival is a brand new festival in the UK Prog calendar. The festival is a unique collaboration between the Classic Rock Society and the team behind the Summer's End Festival, in conjunction with Stroud Town Council. "Just after Summers End 2009, I was approached by Andy Read, a huge prog fan and writer, who also happens to be Mayor of Stroud. "He suggested a festival at a great little 200 capacity venue in Stroud Town Centre called The Space. "This struck me as a unique opportunity to bring together the CRS, The Summers End Festival team and the local Town Council in one superb event. "Structurally, the Festival will feel like a mini-Summers End, with a combination of international, national and local bands over the two days. "Day one will have a "Classic Prog" feel, while day two will feature some great bands with a slightly harder edge." 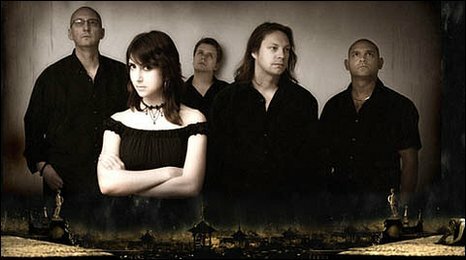 This band from Sweden will make their first ever appearance in the country on Saturday, 13 March, 2010. Moon Safari's two albums: A Doorway to Summers and Blomljud have won massive praise all over the world for their classic prog sound and glorious, pop-inspired harmonies. Recent live appearances have included Rosfest in the USA. Touchstone have had a superb 2009 following appearances at both Calprog and Rosfest, and their brilliantly-received 2nd album Wintercoast. 2010 will see them also play the High Voltage Festival in July. The band are building a strong following in the Bristol and Stroud areas with the prog-inspired hard-rock, which has also seem them develop their reputation outside the area. The rest of the line up will be released over the next couple of weeks, and tickets will go on sale in Mid January. The Winters End Festival - 13 and 14 March 2010. The Space, Stroud.